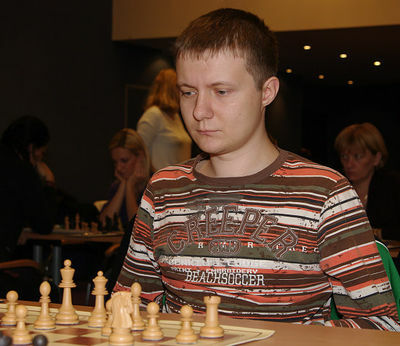 Alexander Areshchenko won the 2012 edition of the Botvinnik Memorial in St. Petersburg, Russia. 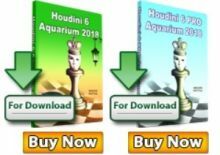 Areshchenko finished with 7,0/9, the same points as seven other chess players – Valerij Popov, Vadim Zvjaginsev, Evgeny Romanov, Ernesto Inarkiev, Ildar Khairullin, Boris Kharchenko, and Maxim Matlakov, but the Ukranian Grandmaster won the golden medal on better tiebreak. This is yet another success for GM Areshchenko, who recently got the silver medal in the strong Ukranian Championship and before that won the Prasvanath Open in 2011. 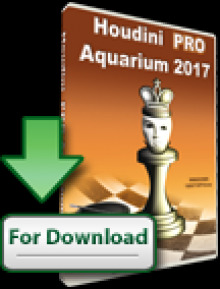 The succes at the Botvinnik Memorial is especially valid as the field contained a total of 223 players, many of which titled GMs, IMs, FMs. See the full standings below. 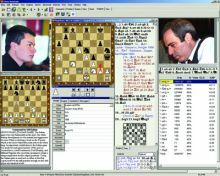 The International Chess festival “M. Botvinnik Memorial 2012″ was organized by the St. Petersburg Chess Federation, which will also hold the “M. Chigorin Memorial 2012″ October 25 to November 4 at the Park Hotel in St. Petersburg.